The archive is under construction and we are continuously adding ice charts and reports. Maximum ice extent is frequently used to compare the severety of different years and is an important parameter in climate studies. 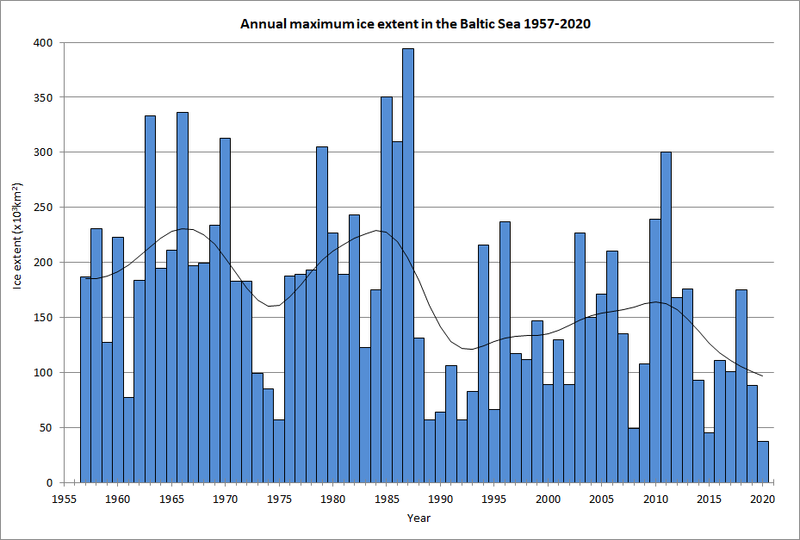 Here, charts of the maximum ice extent is available for each year from 1980 to today. A publication describing the ice season and icebreaking activities, produced in cooperation with the icebreaking management at the Swedish Maritime Administration.